Do You Think The Thoughts You Think Are Really Yours? 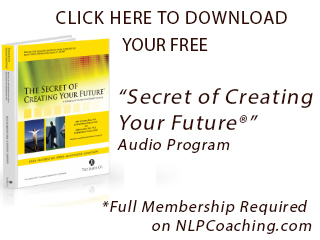 Home » NLP Coaching » Do You Think The Thoughts You Think Are Really Yours? Your beliefs, thoughts and philosophy of life in general are something personal, right? Well, just go around and talk to people. Ask them what is their viewpoint or thinking about a certain subject. They will tell you their personal opinion, being convinced that it is theirs and theirs alone. But soon, if you talk to enough people you will notice that most of them will repeat lines from newspapers and television shows, convinced that this is their personal thinking. “Personal” attitudes and beliefs around certain subjects are a hot topic in any group discussion largely because they hold the investment of “being right” and with it the underlying “being knowledgeable enough” in that topic. Every person thinks and wants their opinion to be the right one and brings arguments in its favor. The question remains, though, how many of your beliefs and attitudes are really yours and yours alone and how many are “implanted” in your mind through your family first, and then through mass media communications later? Firstly, it is important to realize that in your first 6-7 years of life, you don’t have a critical faculty. In other words, you don’t have a critical barrier to judge what to accept and what to reject from the outside world. Everything that your parents talk about, their personal values and beliefs, good or bad, right or wrong affect you and your take them and store them unconsciously without performing any value judgment on them. 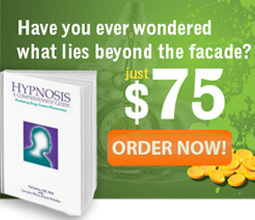 Everything you hear or see while watching television shows, newscasts, everything you read on the internet, in magazines, and computer games goes straight in your unconscious mind, becomes lodged in there and begins to influence the way you think, act and respond to the environment. Here are some simple examples so you can see how it works. You may not realize this, but your parents, grandparents, and other close relatives you were in contact with regularly when you were a little child have made an imprint on you – like the cookie cutter. Here is the dough, take the cookie cutter and … There YOU are! And the same process happened to your parents! They were imprinted with their parent’s beliefs, attitudes and values! And their parents’ parents have experienced the same … from generation to generation. Society has changed tremendously since your grand grandparents’ time. But some of their beliefs still live in you. Whether they are appropriate or not for the modern times, and irrespective of their present validity, they’re still here. So, many of your thoughts, and cherished rules by which you live your life are actually theirs. And because we all acquire those beliefs, attitudes and values when we were small, before we developed critical thinking on our own, we don’t even remember consciously what are they and where did we get them from. Nevertheless they operate deeply unconscious every day of our lives, dictating our behaviors, our relationships and how we think of ourselves. Let’s look at some examples: 50-60 years ago we did not have transnational corporations carrying more power and profit than whole countries alone. 50-60 years ago we did not discuss the issue of overpopulation, dwindling resources and alternative sources of energy. 50-60 years ago it was a pretty bad thing to get divorced and gay partnerships and gay marriages were a complete anathema. 30 years ago if you walked on the street talking by yourself, you were considered loony and locked up. Now it is perfectly all right to have an ear piece and have a conversation with an invisible other. Yet, all of these issues are common topics nowadays although they have never been around a few decades ago or before that. The question is then are we dealing with them by developing new ways of thinking (since these are new issues), or are we imprinted in a certain way and we’re trying to apply the old thinking to new problems? Truly then, what’s the problem??? Tradition is important. Family values are important. You treasure them. They are yours and your inheritance from your ancestors. There is no problem as long as those beliefs, attitudes and values do not preclude you from being the best you can be, having a gratifying job and a great loving and fulfilling relationship. How do you expect your life partner to think highly of you, when you deeply hold in your Unconscious Mind insecurities and lack of self-confidence? I am not smart enough…. And keep in mind, what’s deeply ingrained in your Unconscious Mind bypasses your conscious volition. Looking at her I could see a very pretty, attractive woman. Men would turn their heads in admiration when she passed by, and yet, she had this belief – inherited and accepted when she was very small. This is how easy it is to accept beliefs, attitudes and even values that are actually not ours. Think of what your behavior and attitude would be if you adopted a deeply unconscious belief that you cannot make enough money. Do you think that you would? No. Your unconscious behavior will preclude you from ever doing just that. One of the things which will become obvious in the Time Line Therapy® section of our NLPCoaching trainings is how much your actions are determined by what resides in your unconscious. But we can discover and unravel together what are your real beliefs, those that belong to you and your real model of the world that serves you and those which were implanted, or inherited genealogically from family, friends, from television and other forms of mass media. We find out together which are the beliefs and attitudes than help you in your life vs. those which hinder your progress and development and then we change the un-useful ones. You can do this by learning it yourself in a NLPCoaching Training or with a knowledgeable NLP Practitioner who can guide you. Now that explains so much… This really is fascinating! Can this be the real reason I don’t like VB?